Up for grabs is my clean and well-loved 06 RS. I've owned this car for almost 2 1/2 yrs and have enjoyed every moment with it. 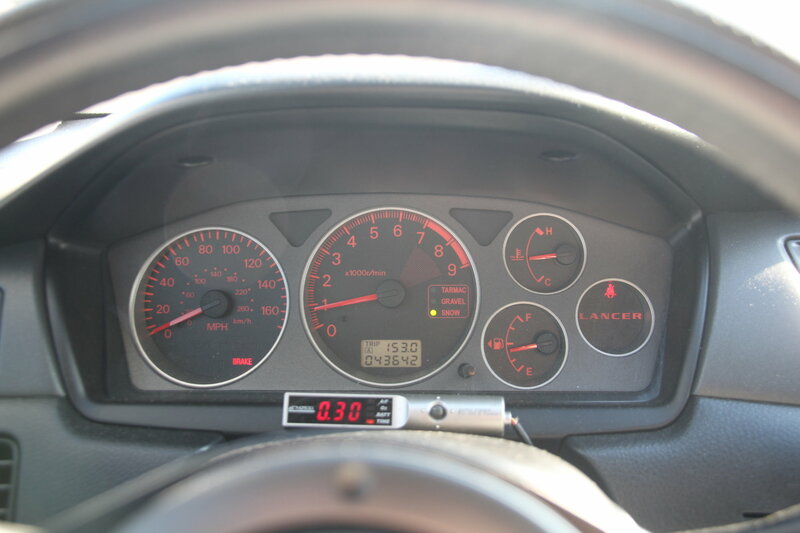 The car has never given me problems and has always impressed me and many others who see it. 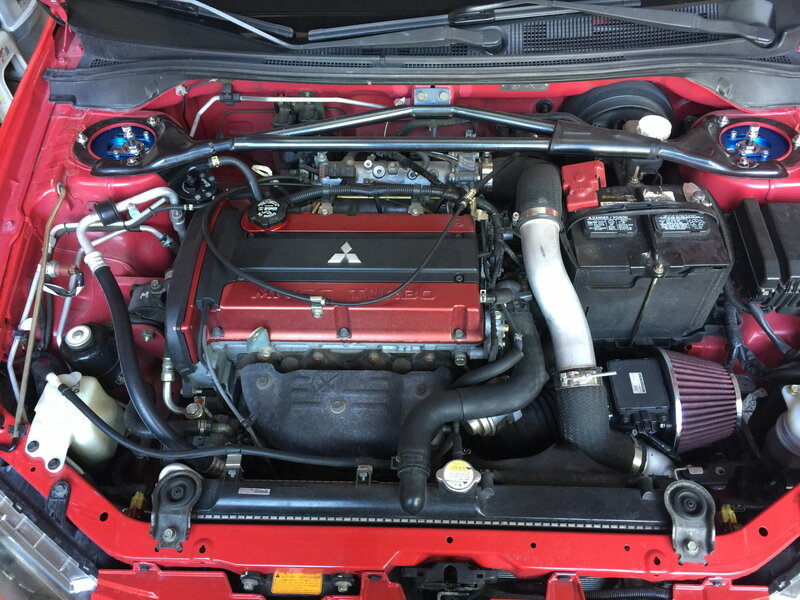 The strong points of this car is that it is mostly stock engine wise. It drives smooth and pulls hard and I've thought of going crazy with a build I just never did because I love the way it is. With close friends who have done this with their Evos and I have driven them, as you know the build potential can be near endless. 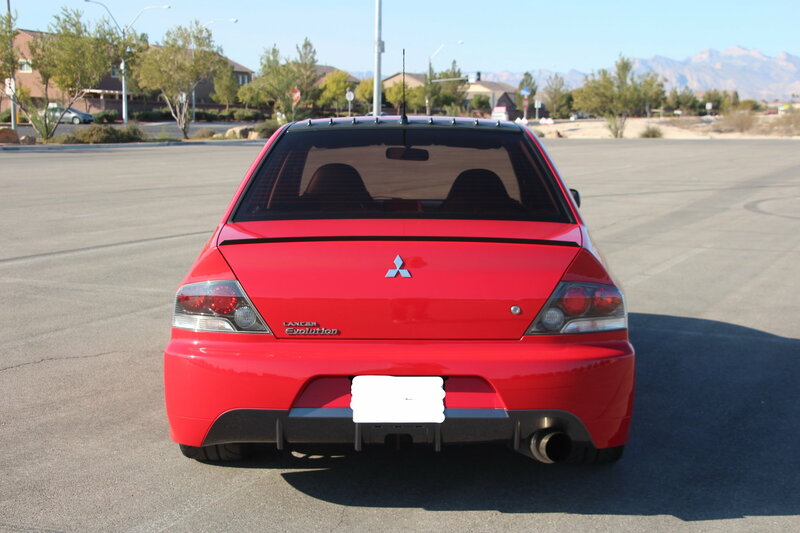 I searched nation wide for an Evo and for me it had to be a Red 06 West Coast Owned and 5 speed. Which my car is. I was to a point while searching to consider other colors and trims and I looked at a few. This car showed up for sale and a close friend shared it with me. I thought he was going to buy it, but passed the info on to me. I had to buy a plane ticket to see it and meet the seller. My wife and I did just that. 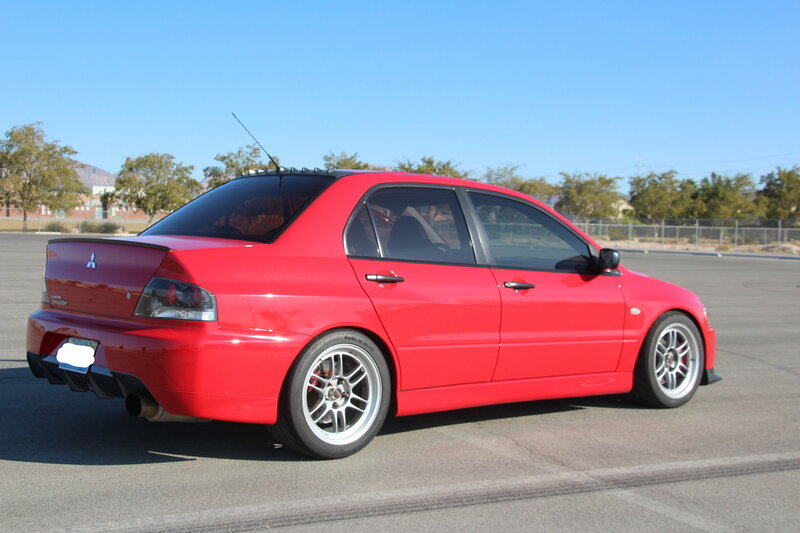 When seeing the car for the first time I knew this was the Evo to go for. The seller and I headed out for the test drive. 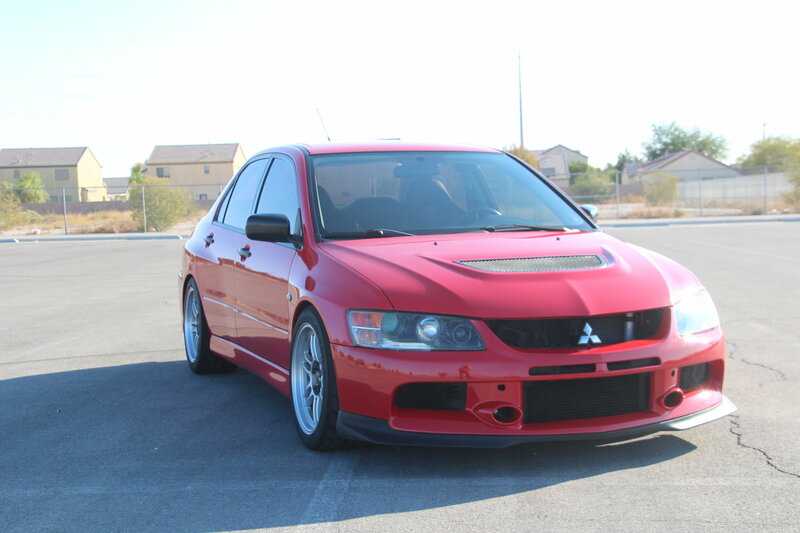 After looking over the car I could not seem to find any issues with it that turned me away like most other Evos have. I did the usual tests with the car you would do before buying one. I also made sure I had the seller take me to a parking lot to have him drive it in circles to listen for the death whine, car had no issues. Since I've owned the car it sees little use hence the low miles. I bought it with 39,996 miles. 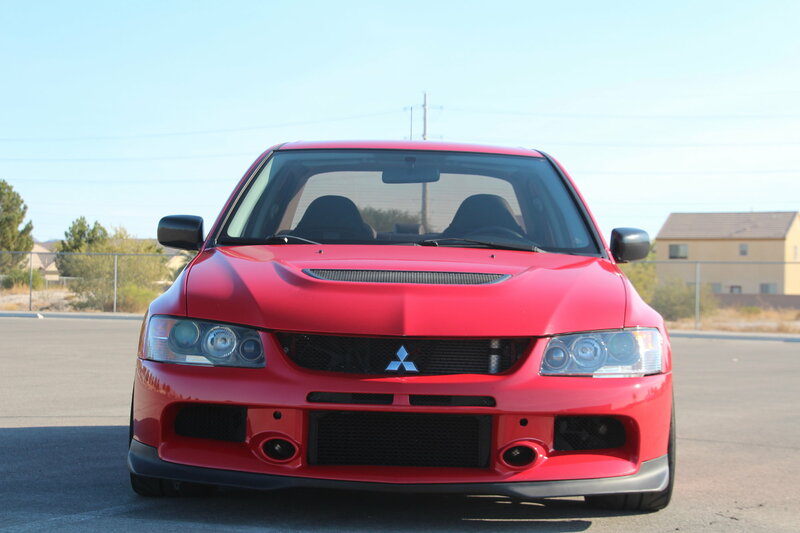 I drove it home from the sellers location and it was 500 mile drive of bonding with my new Evo. Locally we have close group of friends with the same 06 Eovs and one white RS most others have MR, SE, etc. 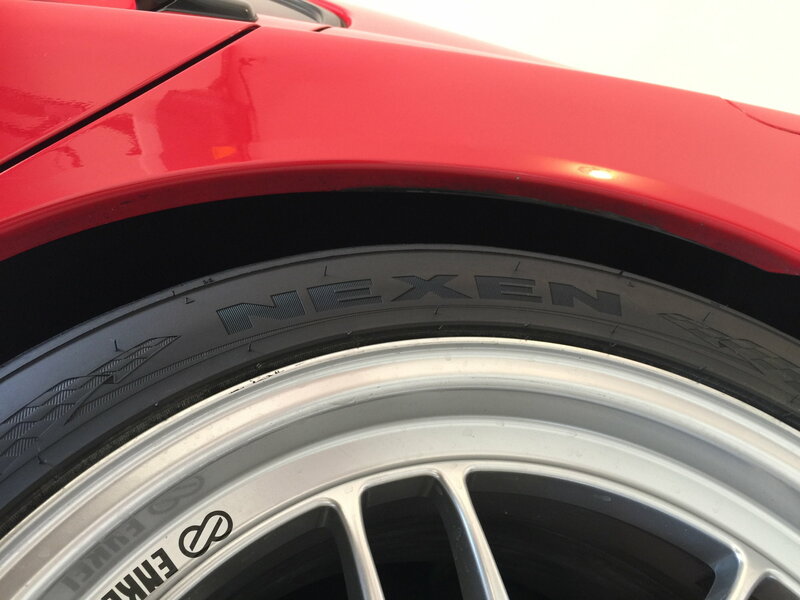 In the Las Vegas area there is a great group of enthusiasts who share a passion for these cars and several are regulars here on the site. I want disclose about this car and that is the previous owner was involved in some sort of an accident on the driver front fender. With most carfax and vin searches it won't show up. 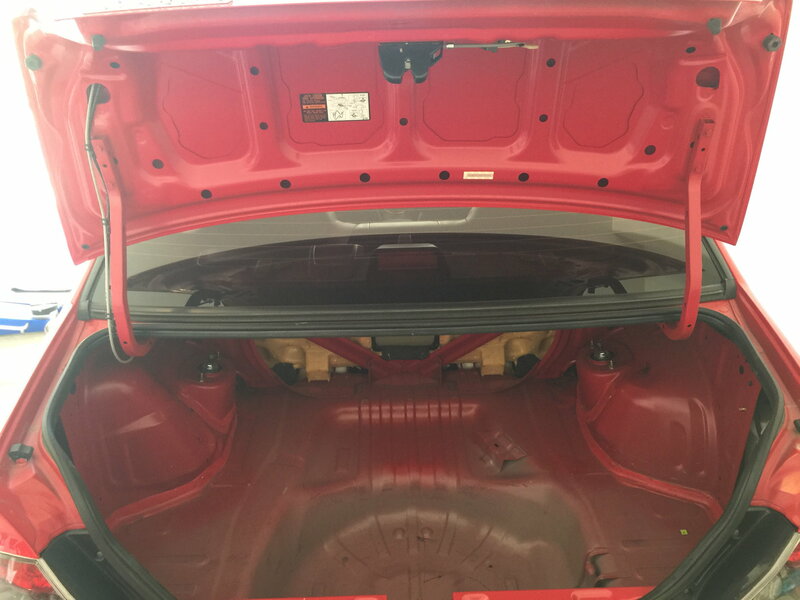 I did take this into consideration before I purchased the car, I couldn't find any issues with that car that steered me away. 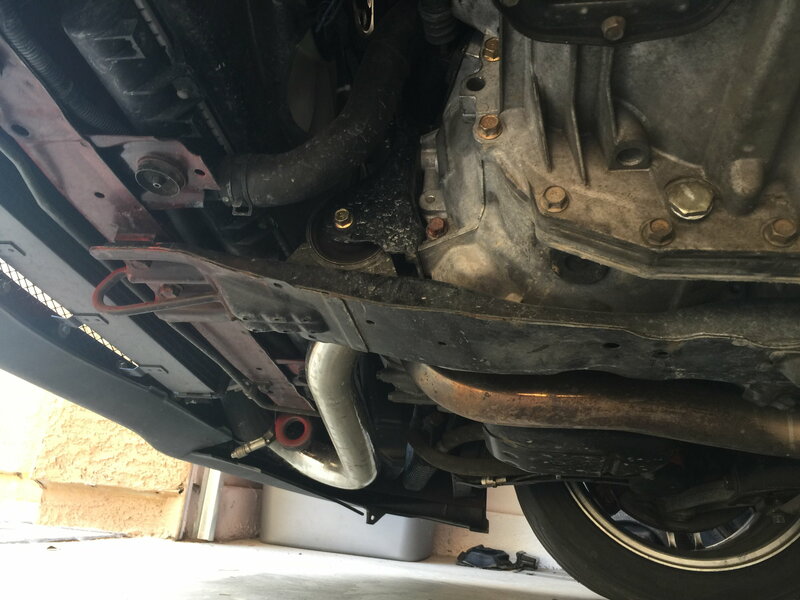 I had a shop look at the Evo and they said whatever happened was minor and there was nothing to worry about. 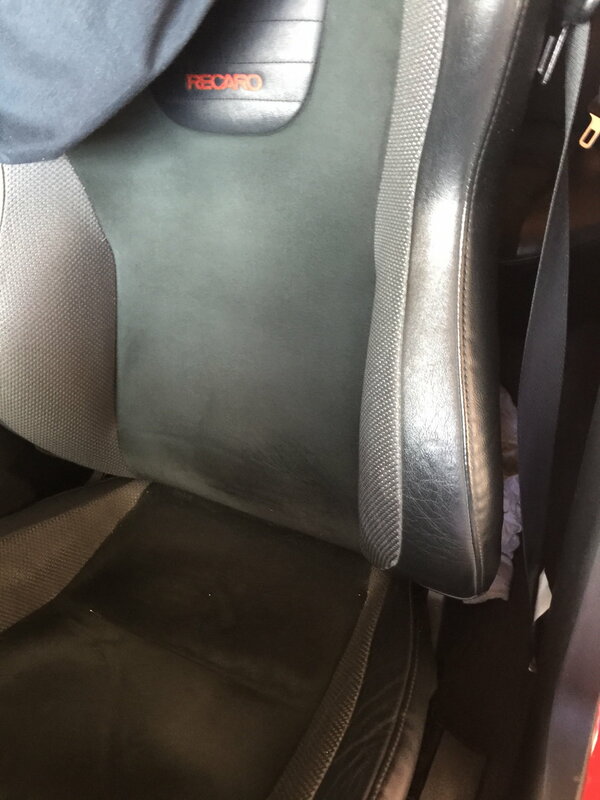 Previous owner never provided pics, so don't really know what happened. The car does show that incident in only one place most other sources don't show it. 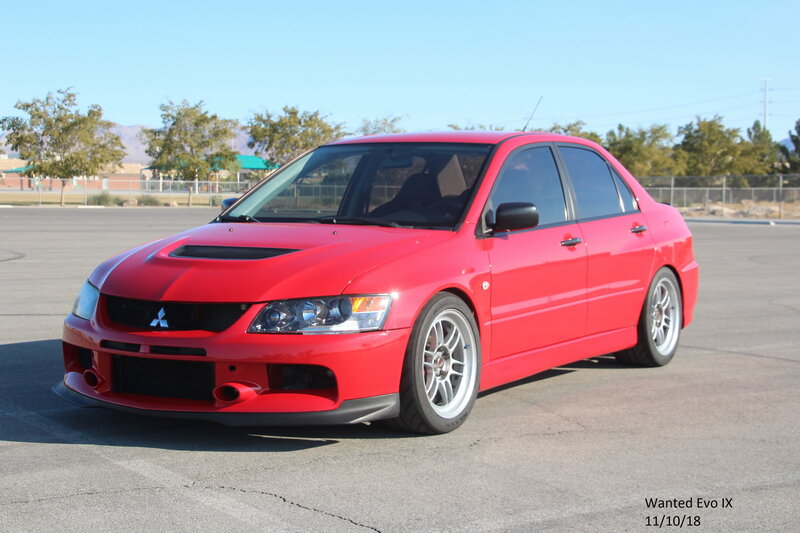 I know people will consider this when looking for an Evo. 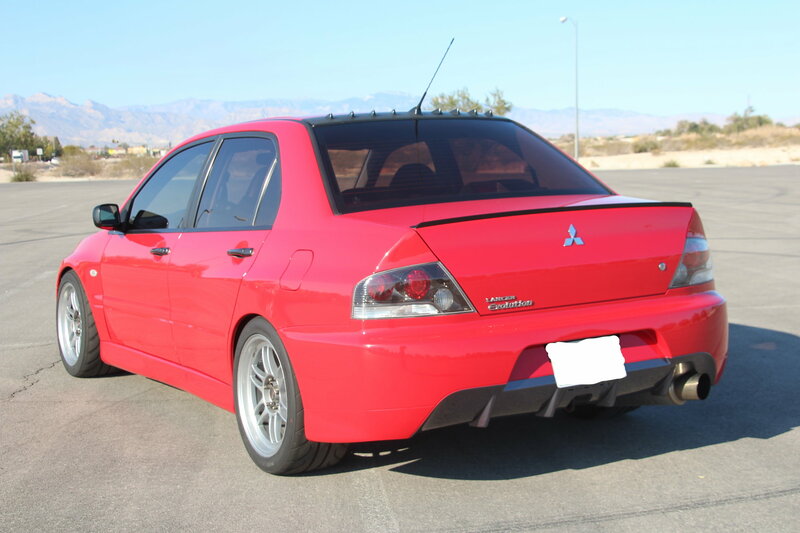 I was no different than many of you who want a new or like new Evo. It took me 6 months to find this car. 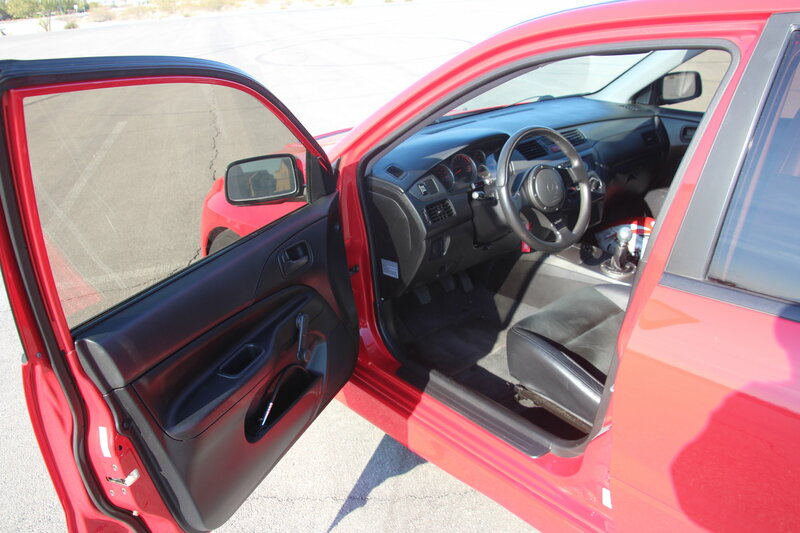 There was another I was looking at in ID, 36k miles Red MR 6 speed and the seller wanted $36k for it. 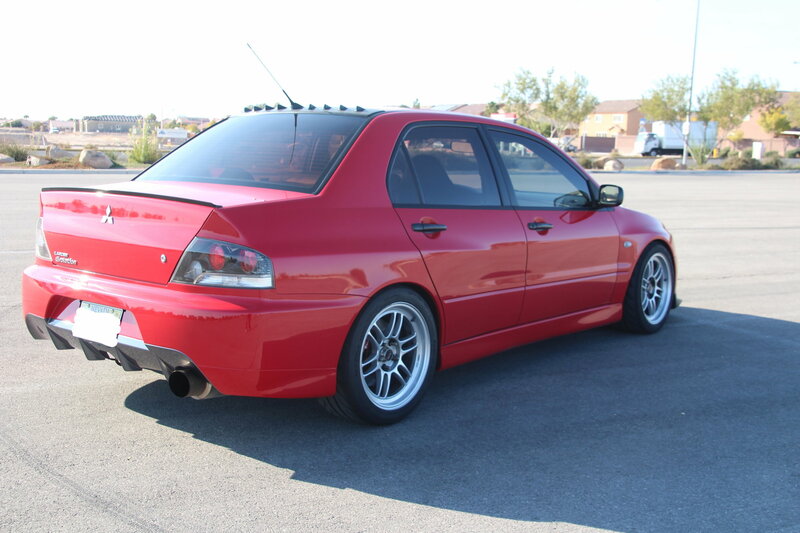 I passed on that car and it ended up at a dealer in AZ and never knew the price they were asking. 40,500 miles Diff and Trans fluids Changed the weekend I got the car home from previous owner. 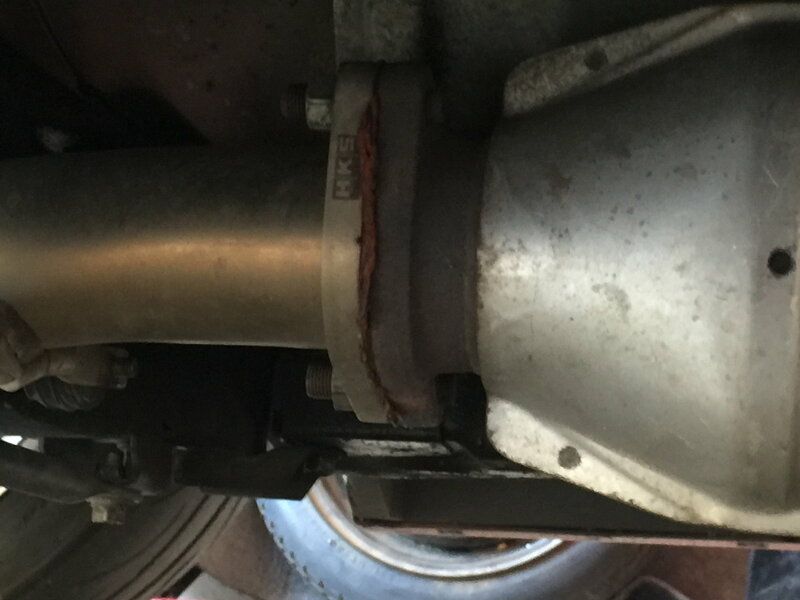 Rear diff stack was done by previous owner. 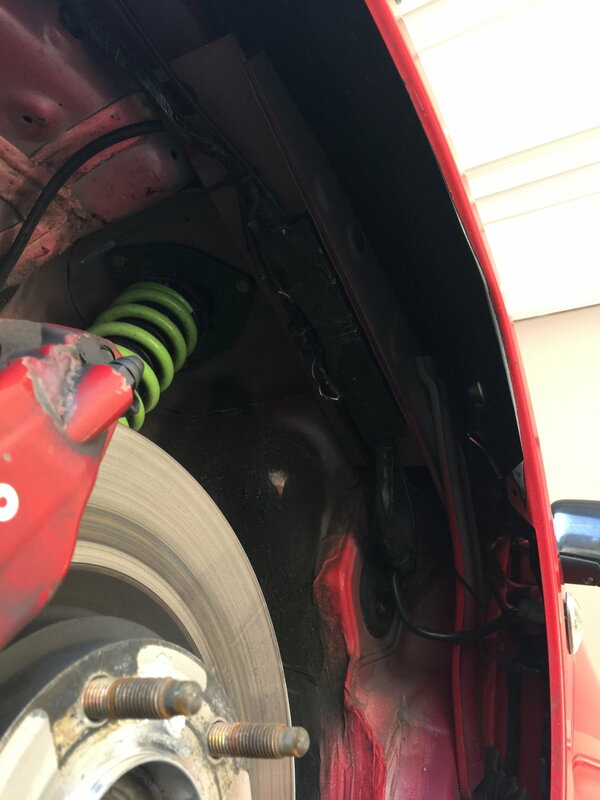 HKS Downpipie was done by previous owner. 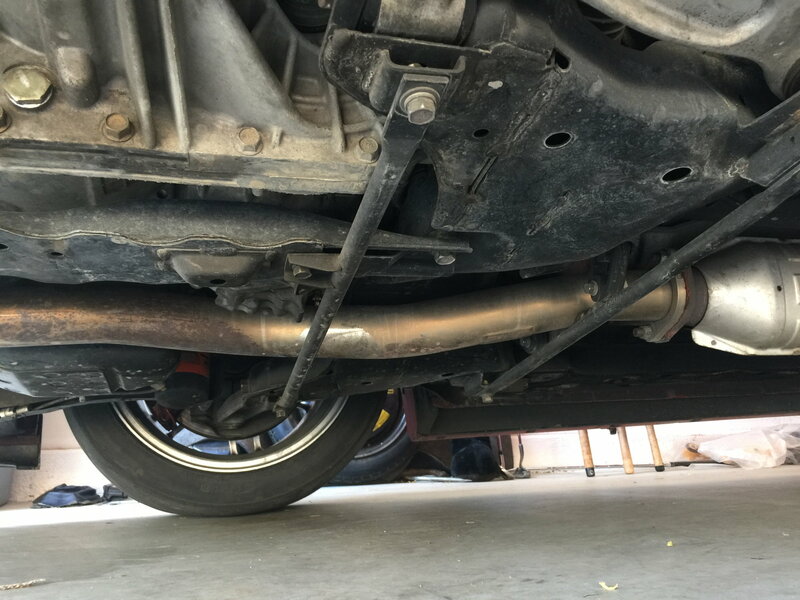 AMS Lower Intercooler Pipe / Have OEM unit. Perrin Intake / stock intake included. 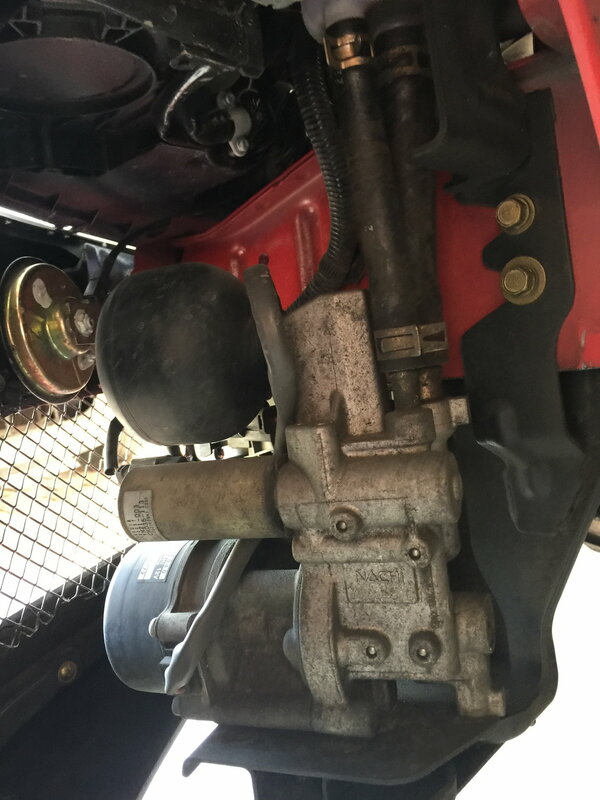 Water Pump was inspected and passed was not changed or replaced. 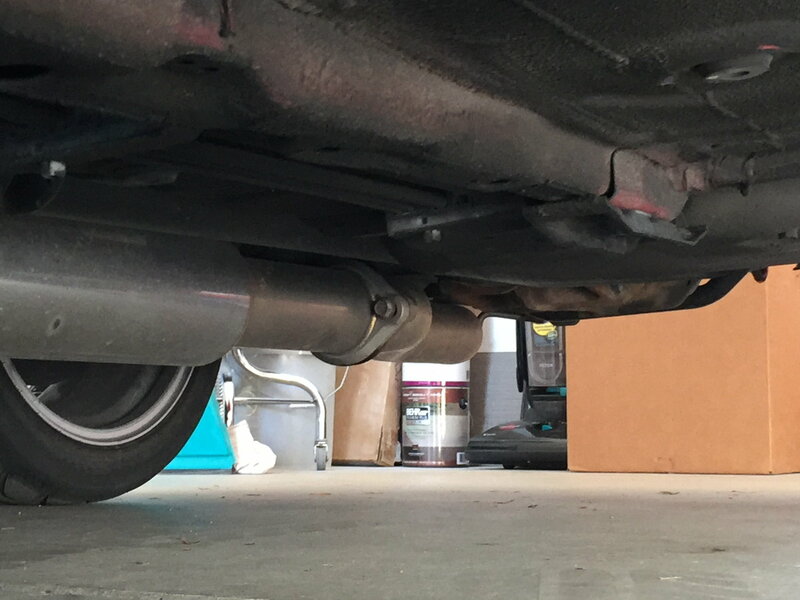 Alignment was done after clutch was installed ( autocross/ street alignment ) will provide the print out. Tires are at 30-40% life left. Blitz Front Mount Intercooler New in the box never installed or mounted. I'm sure I'm leaving stuff out and you can message me or send a text if you like. The car has been a blast to own. With the up coming year approaching it will see far less use. 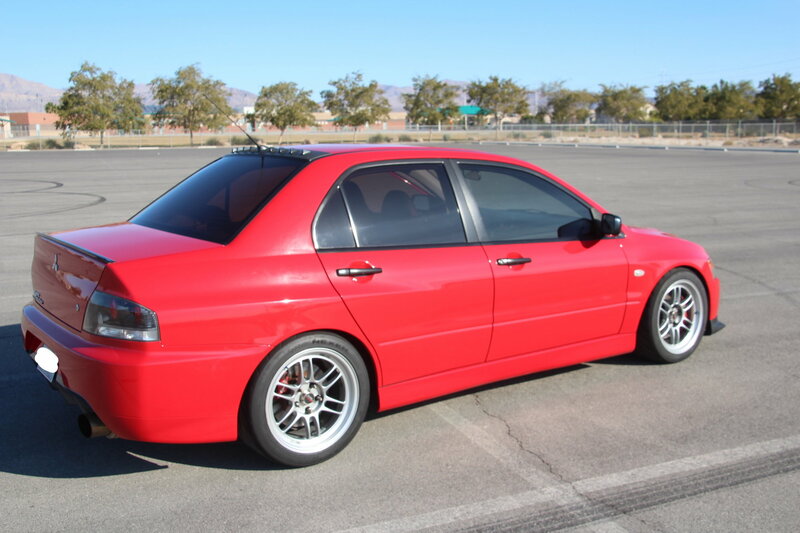 I plan on running a different car for autocross and already purchased that car. I'm a responsible owner and have taken excellent care of this car. As you can see above in the service list you are not being passed along a problem Evo. 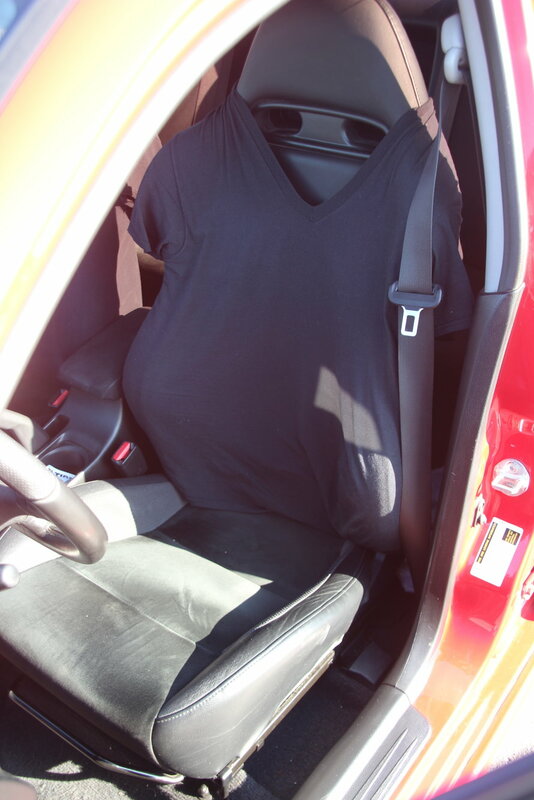 Look at my seat covers, t-shirts and they have kept the bolsters flawless. I know I will never likely see another one of these cars unless it ends up on the track. The car is not new and I'm not representing that it is. 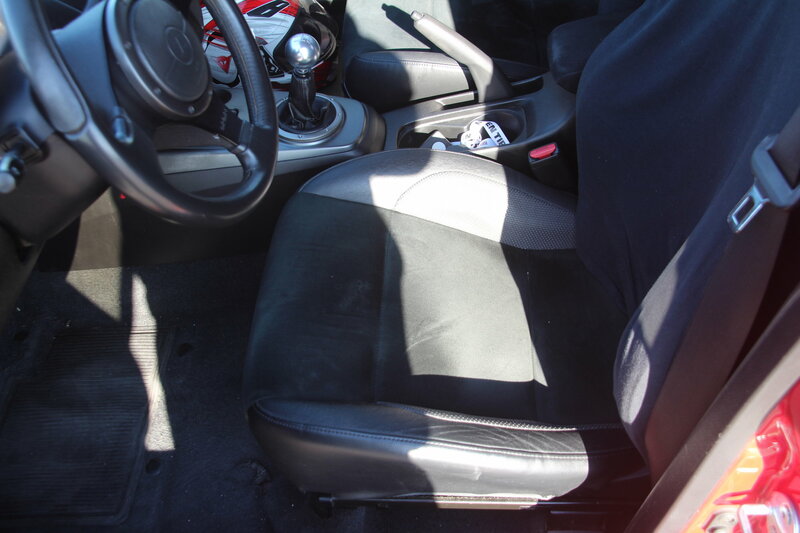 It is a clean and well-loved RS which we all know are very rare with few ever produced. 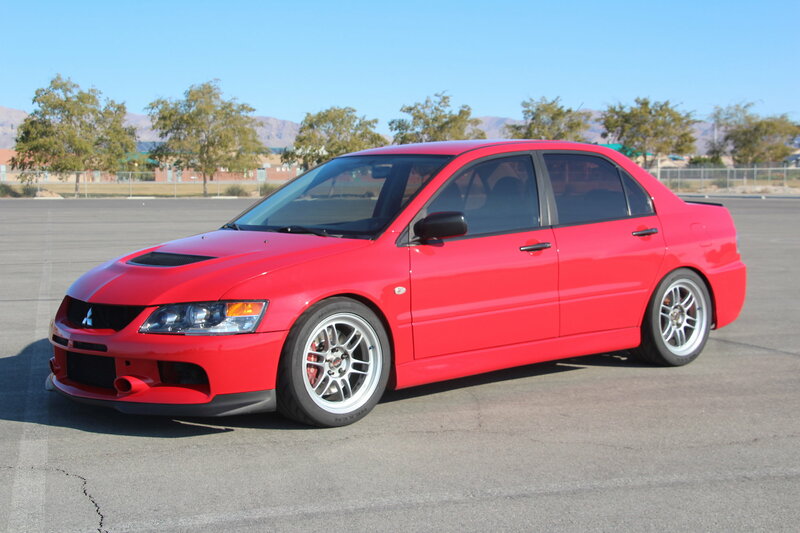 I'm pretty firm on the price as I've recently seen a friend sell his Evo for several thousand more than I'm asking with similar miles. If you need help getting a loan there are threads on the forum with great info. I also do have a loan on the car, so if you are the future owner, the bank will be involved in order for you to get the title. I will not being taking TRADES for this car. Happy Hunting! I’ve added some pics to my listing as several people have asked for more images. 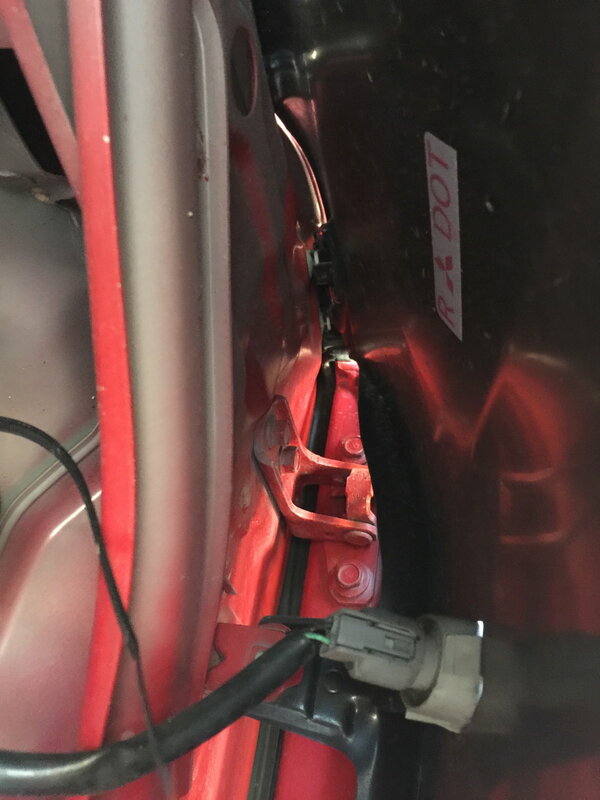 Several people who have asked about the car wanted to know if the fenders were cut or rolled, they are not and they are in good original order. 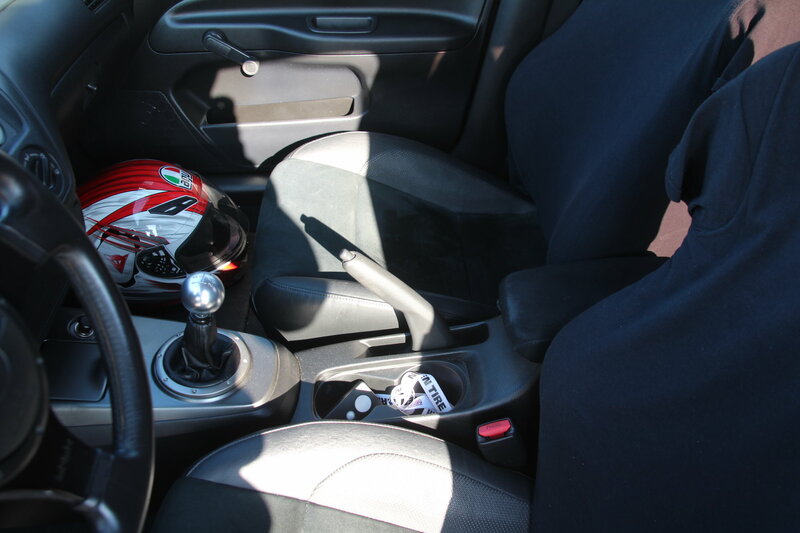 The airbag recall is still not completed on the car and it will need to be done if you plan on daily driving it. Also since I’ve owned the car I’ve only used Shell Rotella Full Synthetic 5-40 and it was done at 43k miles. 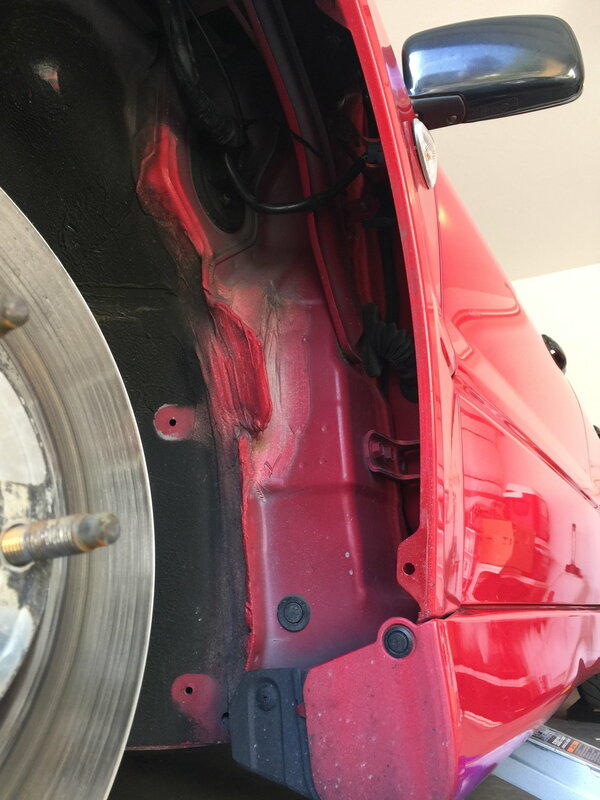 Another question about rust and issues etc, the car is and has been West coast owned and has none of those issues. The title is clean and not salvage. The car is equipped with AC and it works. Also was asked about it having ABS, answer is NO.. If you don’t know what the RS model is please do your research as it will help you in your buying experience. If you need anymore info on the car let me know. 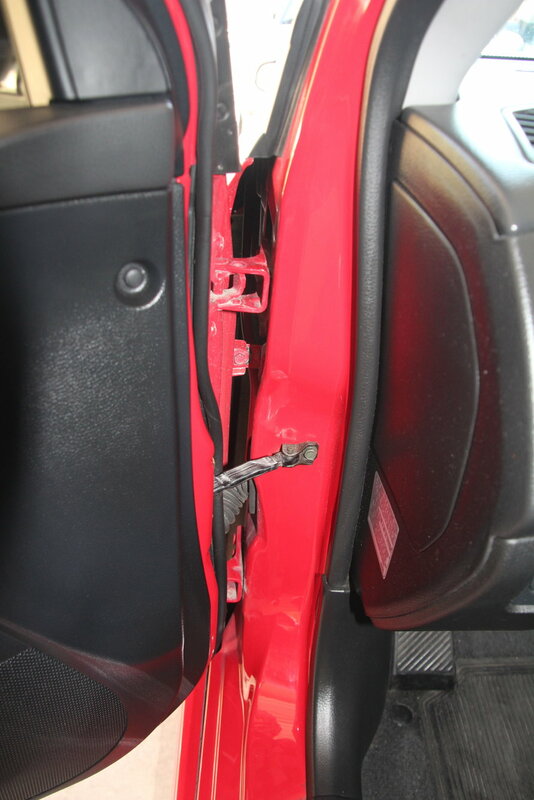 The passenger side airbag recall was completed 1/31/19 by Las Vegas Mitsubishi.